ST RUBBER sees its brand JOYRIDE on the way to becoming Europe’s most popular and widely used glass toy brand. For this reason, the company now offers a free JOYRIDE Cleaner for Toys & Body (150ml) for every purchase of a JOYRIDE Premium GlassiX product. 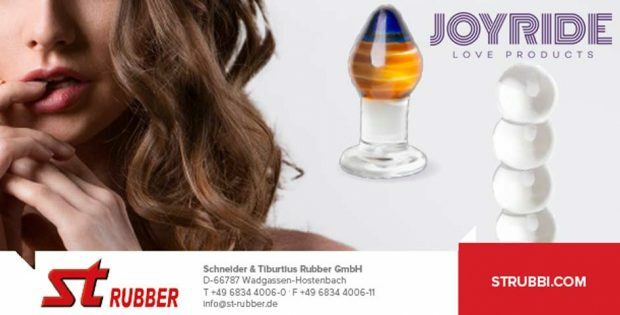 The customer service of ST RUBBER can be contacted under +49 6834 4006-0.